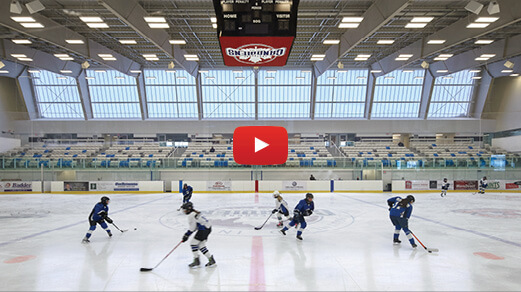 The Cherry Street YMCA is the most accessible YMCA building to-date! Try the Y free for 2 weeks. Click on image for more information. 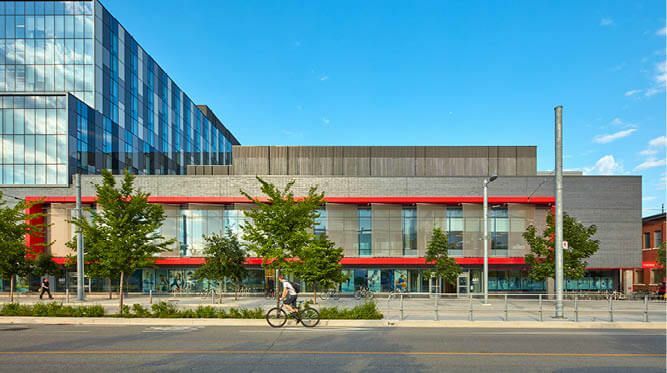 Tours of the facility will be led by Ted Watson and Aaron Letki from MJMA as part of Toronto Society of Architects (TSA) Toronto Building Tours. Click here for more information about the tour. Click on image above to read full article by Cheryl Mah. 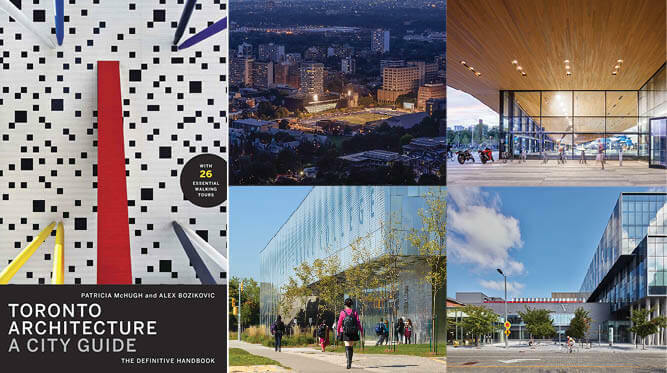 Five of MJMA's projects have been featured in the new book: Toronto Architecture, A City Guide by Patricia McHugh and Alex Bozikovic. Click on the image above to purchase a copy on Amazon. 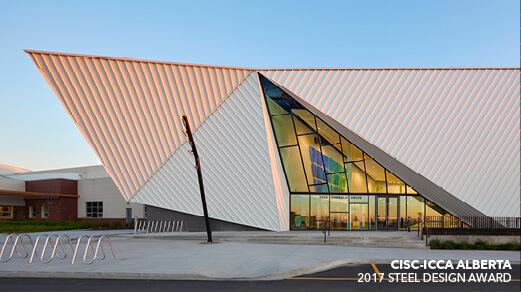 Thanks to our structural engineers, RJC, Emerald Hills Leisure Centre receives a 2017 CISC Alberta Steel Design Award of Excellence in the “Building Communities” category. Click here to read more about the winning projects. 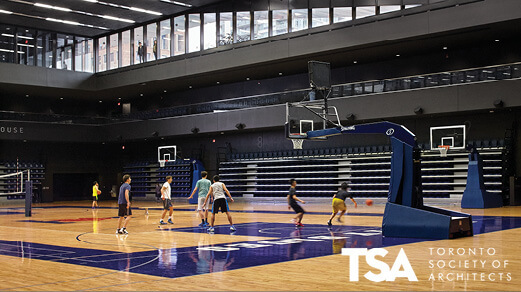 Click on the image above to view a time-lapse of the arena at the Atlas Tube Centre transforming into a basketball court. In the suburbs, sober or sculptural? 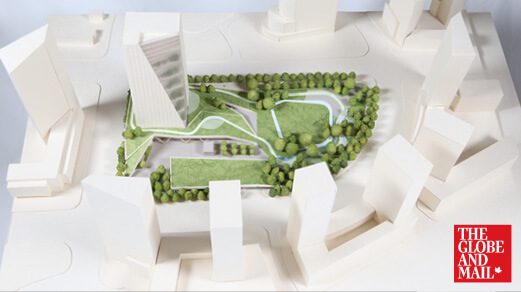 Click on the image above to read full article describing the final presentations of the Etobicoke Civic Centre Design Competition by Alex Bozikovic in the Globe and Mail. 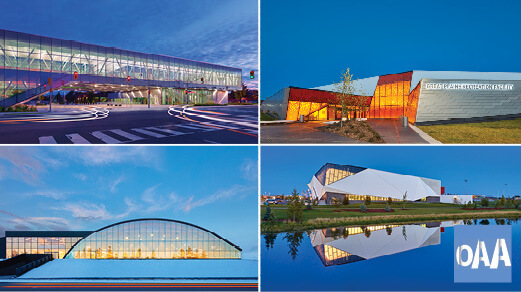 MJMA takes home two 2017 OAA Design Excellence Awards! 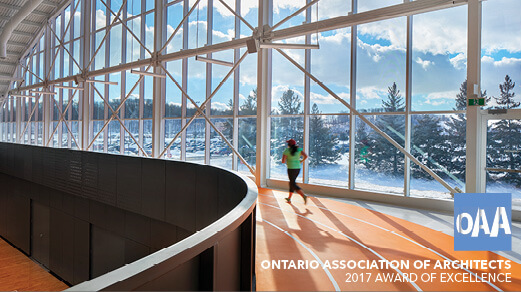 MJMA wins two 2017 Ontario Association of Architects (OAA) Awards: the Centennial College Ashtonbee Campus Library & Student Hub, and Conestoga College Student Recreation Centre. MJMA shortlisted for four 2017 OAA Design Excellence Awards! 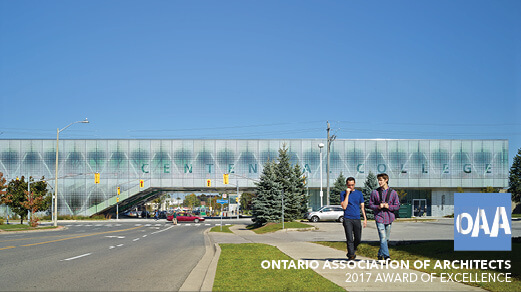 Four of the ten finalists for the 2017 OAA Design Excellence Awards are projects that we've designed: Centennial College Ashtonbee Campus Library & Student Hub, Conestoga College Student Recreation Centre, Emerald Hills Leisure Centre, and Great Plains Recreation Facility. 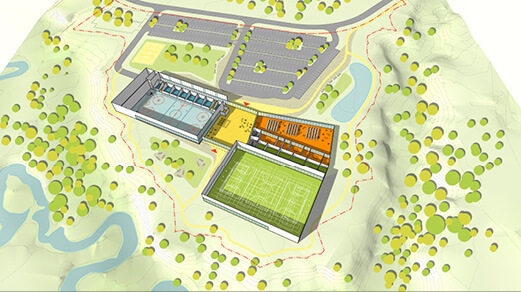 Ted Watson presents Study for New Recreation Facility for the Town of Bracebridge Feasibility. Ted Watson presents results of a feasibility study for a new arena-recreation-library complex. If council chose to embark on the full project, the total cost, with a construction start of early 2018. 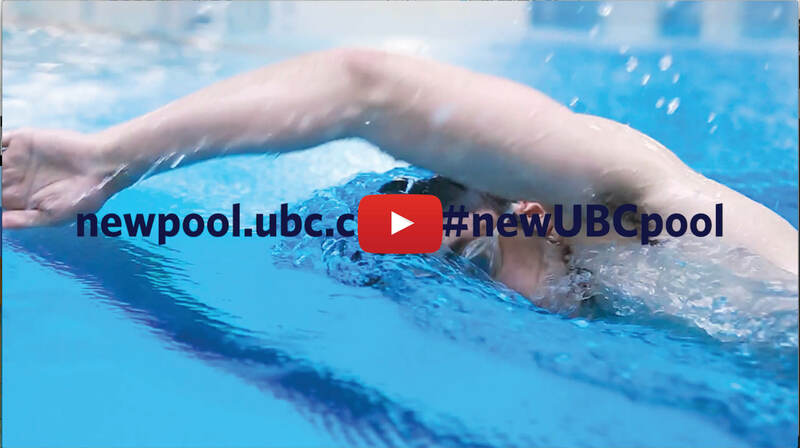 Click on the image above to view a video of the new UBC Aquatic Centre produced these with a student director, Bronwyn Davies on UBCREC's YouTube Channel.